Period redbrick houses in Dublin 6 are among the most desirable of residences for many. This is due in part to the elegance of their high ceilings, large reception rooms joined with classic double doors, big sash windows and, if you’re lucky, intact mouldings, ceiling roses, stairways and fireplaces. Then there’s the location of the old Victorian suburbs like Rathmines which offer walking distance to the City Centre coupled with the graceful old tree-lined roads and parks of the period. But there’s something more ephemeral that gives a house its character: the story of the house itself. That story is bound up with the stories of the people who built it and who lived in it. And one Grand Old Lady of Belgrave Road, now a beautifully updated family home, has seen more than its fair share of characters that add to its character when you know about them. 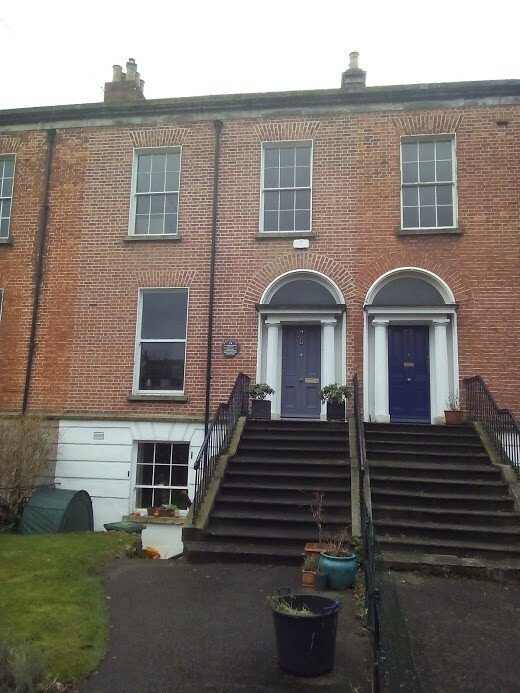 №9 Belgrave Road is part of a terrace of tall houses built between 1854 and 1855 by Patrick Plunkett, one of two prominent Catholic builders who made a significant contribution to the Victorian splendour of Dublin 4 and 6. “The houses were built for rent to the affluent middle classes,” explains Patrick’s great-great-granddaughter Honor O’Brolchain. “At the time these would have been mainly British military people and civil servants”. Terrace of houses on Belgrave Road, including No 9, built by Patrick Plunkett in 1855. The houses in the area are indeed full of the political DNA of the city and the country. The Prominent Protestant architect EH Carson, father of the Unionist leader Lord Carson, built the villas at the end of Belgrave Road around the same time. “ The newly-wealthy Catholic builders like Plunkett and Cranny would often be building up against Carson and others in the same places,” says Honor. Plunkett’s houses in Belgrave road as well as those in the surrounding roads like Palmerston Road, Moyne Road, Ormond Road and Kileen Road were an architectural incursion into the township of Rathmines, which had been set up in 1847, according to Honor, as a Unionist enclave by the likes of another leading Protestant Architect and builder Frederick Stokes. In 1884 there was a union of the Plunketts and the Crannys when Patrick’s son George Plunkett (later Count Plunkett) married Geraldine Cranny. 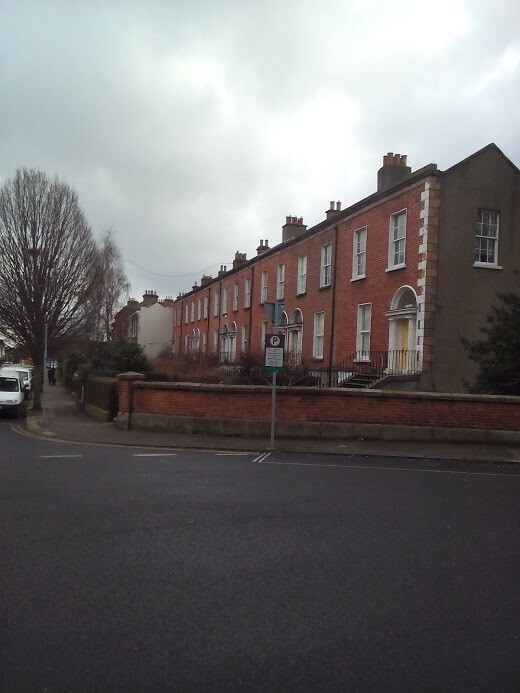 №9 Belgrave Rd along with several of the neighbouring houses passed to Count Plunkett as a part of the wedding settlement. But it was in the 20th Century when the house was home to its most prominent character, Dr. Kathleen Lynne.